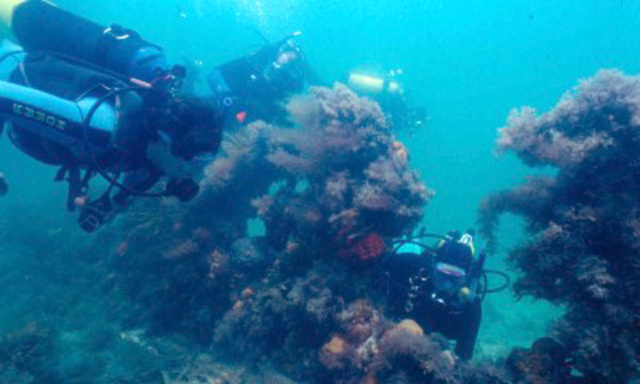 According to the University of Western Australia (UWA), the Clarence sank in five meters of water and was declared a protected zone in 1985, prohibiting access by divers and anglers. The site remained popular with local anglers whose anchors and fishing equipment had been damaging the site for decades. “Constructed of native timbers in New South Wales in 1841, Clarence is one of the best examples of small early colonial-built vessels,” said Prof Peter Veth of UWA, who led the conservation and reburial of the wreck. The Clarence ran aground on a sand bank in Port Philip Bay in 1850 while transporting 132 sheep from Melbourne to Hobart. It had anchored in Coles Channel for the night, when the cable broke after a southwest to south southwest wind blew up. The sheep on board were rescued by Geelong residents. Thanks to the Clarence having a ballast of pipe clay, rather than the usual rocks and stones, some portions of the wreck and the artifacts buried by the clay – including leather patches for valves of pumps, lengths of rope and the bases and staves of oak barrels – have remained well-preserved in the oxygen-free environment it provided. However, other parts of the wreck have been destroyed by anchor damage, loss of sea grass and scouring. This appears to have become critical in the last 25 years. Unlike renowned historically significant wrecks such as the Batavia which sank off the Abrolhos Islands in 1629 and the Mary Rose, which sank off the English coast in 1545 which were recovered in full, the Clarence and its artifact assemblages were studied both in situ and in laboratories located on a jack-up barge over the site.